Memorial Day is coming soon, and it is the oddest of holidays. 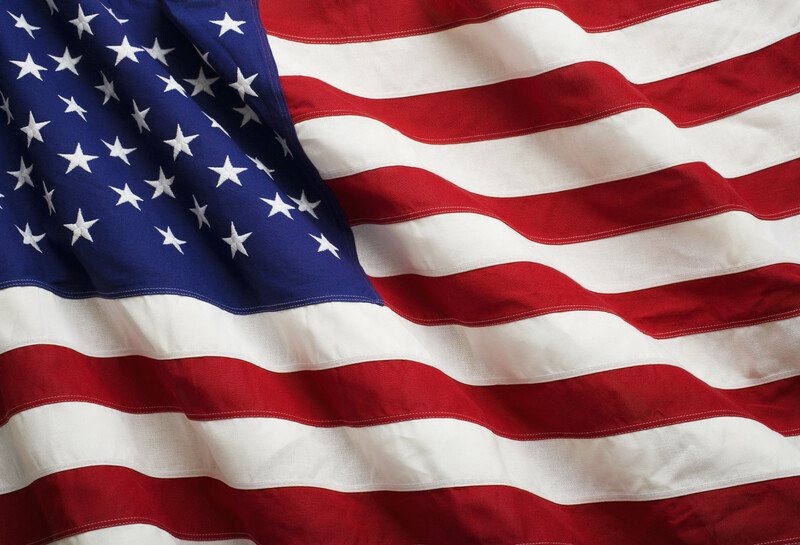 The observance began just after the Civil War, and was originally called Decoration Day. It was not officially declared a national holiday until 1971. 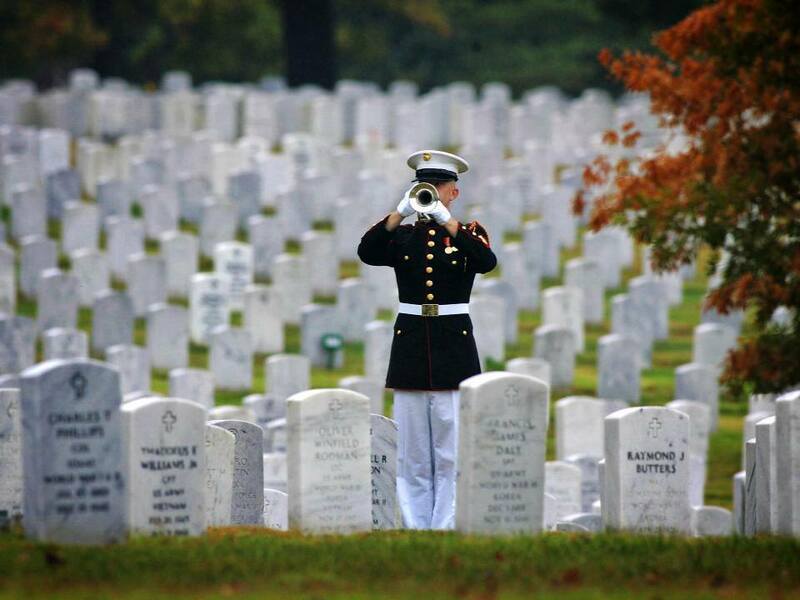 The day has one purpose, and one purpose only; to honor those who have fallen in battle. The “decoration” terminology refers to the earliest traditions of “decorating” the graves of the fallen with an American Flag and sometimes flowers. It is the most solemn of holidays. It is also the most ignored. Memorial Day has become the unofficial “first day of summer”, even though summer does not really start until June 21st. Stores have “Memorial Day” sales, resort areas open in high gear, and barbecues abound. 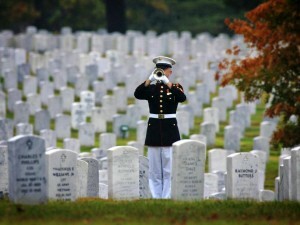 There are Memorial Day services, to be sure, and they are held all around the country. But they are often sparsely attended, mostly by veterans or those who have lost someone in war. The somber day has been co-opted into a glitzy Memorial-Day-Sale-go-to-the-beach-have-a-barbecue-day. I used to get angry at the way Memorial Day had become perverted. To make it worse, they moved the traditional May 30th date of the holiday to one of those floating Monday holidays, making a long weekend and giving people a day off. Ironically, the people in the armed forces don’t get off. I’ve been thinking about it a bit lately, and have asked myself “What would Monin think?”. Francis George Monin was a friend of mine, a very good friend. We served together in the Marines, two years aboard the aircraft carrier USS Essex. He was in my wedding. He was killed on July 5, 1967, twenty-nine days after arriving in Vietnam. He was 20 years old when he died. Monin was from Buffalo, New York. 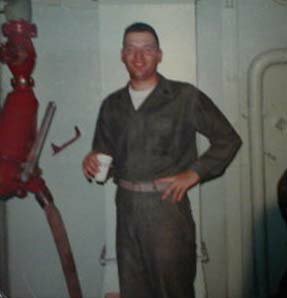 I met him at the Marine Corps Sea School in Portsmouth Va. We trained together there for eventual assignment to one of the ships in the Navy fleet. In those days, large ships, carriers, cruisers, battleships carried a detachment of Marines, usually about 60. This was a tradition going back to the Revolutionary War. We trained together, and spent the next two years aboard ship. In April 1967, our tour was up. I went home to get married, and on to Camp Lejeune. Monin went to Vietnam. We heard about Monin getting killed, and decided to name our first child, if it was boy, after Monin. My son was born on March 28, 1968, ironically while I was in Vietnam. His name is Francis, but everyone calls him Frank. We never called Monin “Francis” or “Frank” or anything like that. He was always just “Monin”. That moniker later evolved into “Monin Marine”. He got that nickname because Monin was a true Marine. It was all he ever wanted to be; a John Wayne Marine. He was solid, and steady and completely dependable. You could count on Monin for anything. He was one of the true patriots. He also liked to have fun. Monin was a beer drinker, and we drank a lot of beer during those years. When we were in port, Monin and I would frequently go into Boston’s notorious “combat zone” to drink on off-duty nights. The combat zone was the area in Boston where the sailors and Marines hung out. There used to be an area like that in many cities, places the civilians generally avoided and the military people partied. And drink we did. We usually got something to eat, sometimes took in a movie, and then hit the bars. We would stagger back to the ship in the wee small hours, always stopping at a local greasy spoon for a 3am breakfast before going to the ship for a few hours sleep. Monin insisted that eating breakfast then would prevent a hangover. It didn’t work, but we did it anyway. We had good times; lots of them. Monin loved to tell jokes. He wasn’t real good at it, but he told them to anyone who would listen. He liked to have fun. He was always in for any adventure. He was always up; I never saw him down. Monin would like barbecues, especially if there was beer. He would like a get-together with friends where he could tell his jokes. 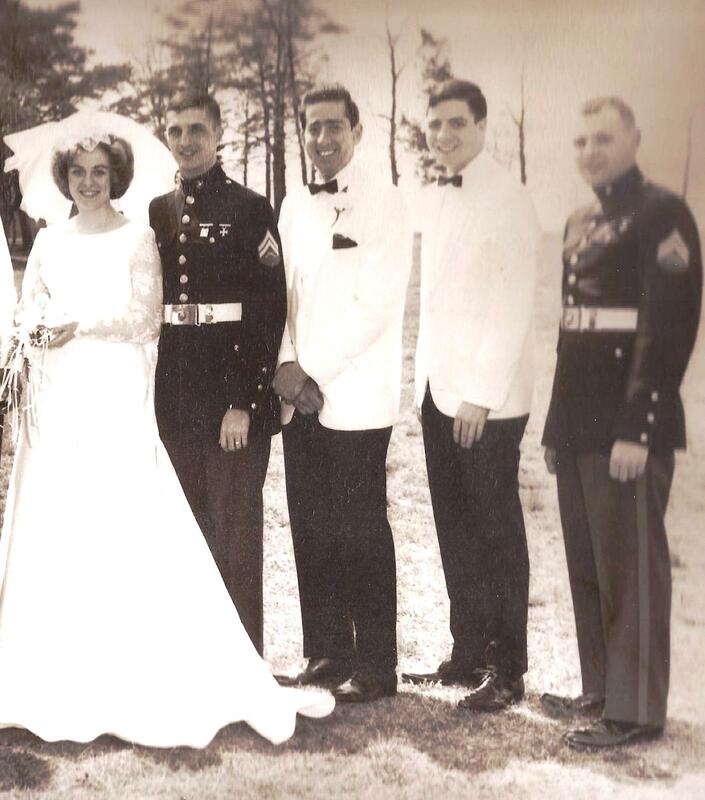 He enjoyed life, and enjoyed being with his fellow Marines. He wouldn’t want people grieving over him. I think if I were having a Memorial Day barbecue, Monin would be one of the first I would invite. He would come and have a good time. So yeah, Memorial Day has a purpose; maybe more than one. Remember those who have fallen to keep you free. Plant a flag, say a prayer. Then go out and have fun. That’s what Monin would do. “The conventional army loses if it does not win. We’re losing. I’m writing this in the aftermath of the Ariana Grande terrorist bombing in Manchester, England yesterday (May 22nd), killing twenty-two mostly young people and injuring scores more. This one caught my attention, not because it was unusual, it wasn’t, as you’ll see from the list below. It caught my attention because my Grandaughter is a fan of Ariana Grande, a singer I know nothing about. Evidently in this incident, the terrorist suicide bomber was a 23-year-old Muslim who’s parents were Libyan refugees. 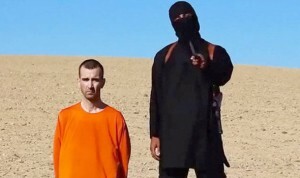 CBS News reported that he was “known” to British authorities. Apparently, according to news reports, the Brits have some 3500 “known” potential terrorists along with about 400 returned ISIS fighters back from Iraq and Syria walking around in their streets. Wrap your mind around that if you can, because I can’t. Apparently the British have enough on these individuals to classify them as “potential” terrorists, but not enough on them to lock them up. They can’t lock them up, but when one of their “knowns” blows himself up along wth scores of innocent people, the response is that he was “known” to them. I don’t want to pick on the British. 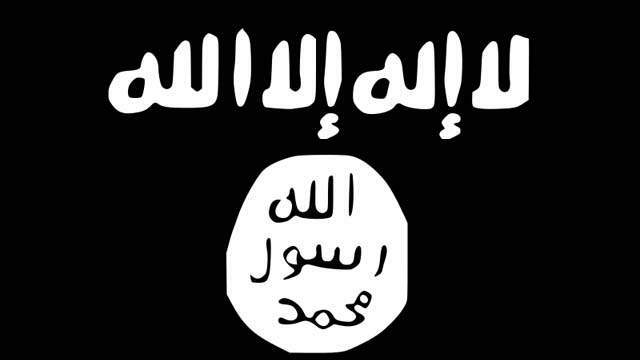 We have terrorist “watch lists” as well, and my guess is they are pretty extensive. We can watch them, they can be known to us. And then they can blow up pretty much any venue, any time they damn well please. Even when they are known to have gone to Syria and fought with ISIS, they are only “monitored” in Jolly Old England. An Ariana Grande concert; thousands of kids, many barely in their teens, flocking to have a night of excitement watching their favorite singer. They got more than they bargained for. Now the terrorists have a new target — our kids. What could bring more terror than killing children? The “known” terrorist got away with it. They’ll do this one again. Read the list below and tell me I’m wrong. A man driving a hijacked beer truck struck pedestrians at a Stockholm department store, killing 4 people. A man drives his rented SUV into pedestrians at London’s Westminster Bridge, killing four people. The attacker then stabbed a police officer to death. A hijacked truck plows through a Christmas market in Berlin, killing 12. A truck driver targets Bastille Day revelers in Nice, killing 86. Suicide attacks on the Brussels airport and subway kill 32 and injure hundreds. The perpetrators have been closely linked to the group that carried out earlier attacks in Paris. Islamic State-linked extremists attack the Bataclan concert hall and other sites across Paris, killing 130 people. A key suspect in the attack, 26-year-old Salah Abdeslam, is arrested in Brussels on March 18, 2016. A gunman kills Danish filmmaker Finn Noergaard and wounds three police officers in Copenhagen. A day later the gunman, Omar El-Hussein, attacks a synagogue, killing a Jewish guard and wounding two police officers before being shot dead. A gun assault on the Paris offices of the satirical magazine Charlie Hebdo and an attack on a kosher grocery store kills 17 people. Al-Qaida in the Arabian Peninsula claims responsibility for the attack, saying it was in revenge for Charlie Hebdo’s depictions of the Prophet Muhammad. Four people are killed at the Jewish Museum in Brussels by an intruder with a Kalashnikov. 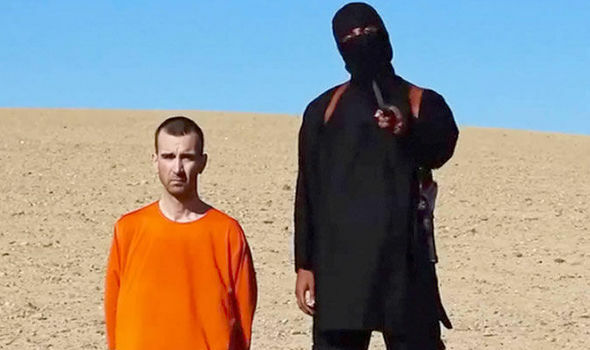 The accused is a former French fighter linked to the Islamic State group in Syria. Two al-Qaida-inspired extremists run down British soldier Lee Rigby in a London street, then stab and hack him to death. A gunman claiming links to al-Qaida kills three Jewish schoolchildren, a rabbi and three paratroopers in Toulouse, southern France. Anti-Muslim extremist Anders Behring Breivik plants a bomb in Oslo then launches a shooting massacre on a youth camp on Norway’s Utoya island, killing 77 people, many of them teenagers. The offices of Charlie Hebdo in Paris are firebombed after the satirical magazine runs a cover featuring a caricature of the Prophet Muhammad. No one is injured. Islamic extremist Arid Uka shoots dead two U.S. airmen and injures two others at Frankfurt airport after apparently being inspired by a fake internet video purporting to show American atrocities in Afghanistan. 52 commuters are killed in London when four al Qaida-inspired suicide bombers blow themselves up on three subway trains and a bus. Polar bears, the icon of the global warming movement: theatened, endangered, possibly headed for extinction because of mankind’s indifference to saving the planet. Really? The polar bear (Ursus maritimus) is a carniverous bear who roams the Arctic Circle area. It feeds mostly on seals. 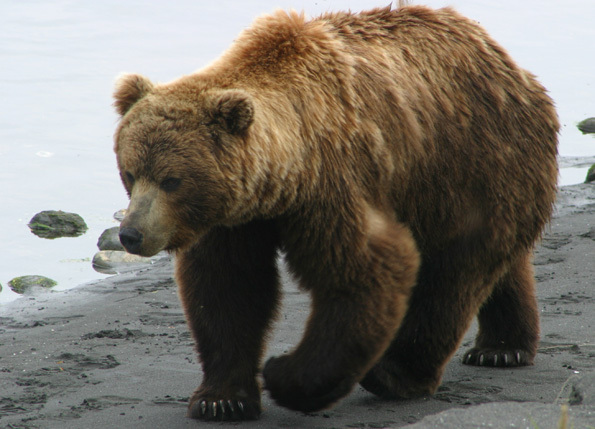 It is a big bear, and a male can weigh as much as 1500 pounds and stand nine feel tall on it’s hind legs. They are actually related to the brown bear; their distinctive color presumably evolved allowing them to survive better in their habitat. They live both on land and on sea ice, roaming their territory looking for prey. They are vicious animals, and will eat a human being as readily as a seal. Other creatures they encounter are just food to them. Their “territory” is pretty large. The area north of the Arctic Circle is over 7 million square miles in size. For reference, the continental United States is about 3.2 million square miles. 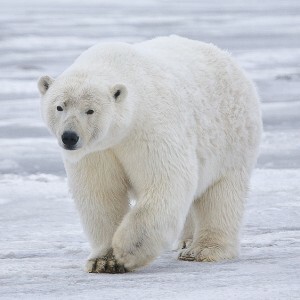 The polar bear is considered a “vulnerable species”, by the International Union for the Conservation of Nature, largely due to concerns about global warming. This group has classified 5196 animals and 6789 plants around the world as “vulnerable”. So how many polar bears are there, and how is their “vulnerability” measured? That’s where it begins to get murky. Part of the problem is no one knows how many polar bears there are. The only way to count polar bears is to fly over them and count. Since their territory is so large, and they are constantly on the move, this is not a practical method. So what we have are estimates. Since much of their territory has been poorly studied (Wikipedia), estimates by biologists run from 20,000 to 31,000 polar bears in the world. Nineteen “subpopulations” have been catagorized, based on sightings of groups of bears in various areas. Modern tracking of the bears has only taken place since the 1980’s and is expensive, tagging and tracking bears by helicopter. While there have been increased reporting of bear sightings around populated areas in recent years, some scientists argue that this should not be interprteted as increases in the bear population. Counting of subpopulations is scattered, and some groups have not been counted since 1992. 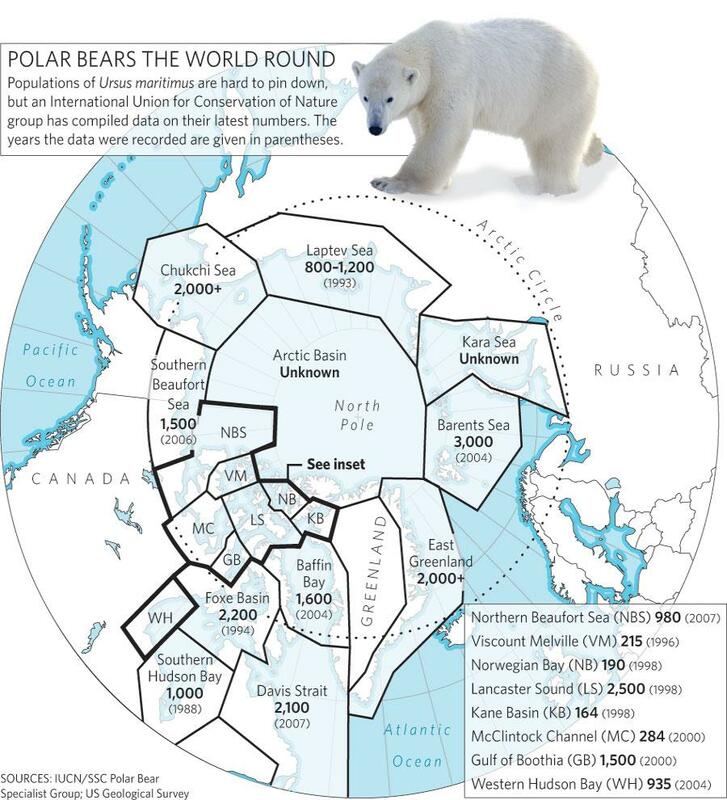 The bottom line is that all counts of polar bears are estimates, based on very limited information. Those worried about the fate of the polar bear contend that shrinking Arctic polar ice reduces the bear’s habitat and food supply, eventually leading to the extinction of the bear. So is Al right? Obviously his 2009 prediction didn’t quite work out that way, the ice is still there. But is he right in general? It seems that over the last several million years, the Arctic has undergone over twenty glacial/interglacial (cooling/warming) periods. Some of these lasted for millions of years. The most recent interglacial period, known as the Holocene Interglacial period, lasted about 11,700 years. After warming during the Medieval Warm Period (950-1250 AD), there was a cooling period from about 1300 to 1850, which has been called the “Little Ice Age”. Although we appear to once again be in an interglacial period, It is not clear the length of time this will last, nor the cause. There has been shrinkage of the Arctic ice in recent years. Of course it recedes and expands seasonly, but overall there has been shrinkage. I tried my best find out how much, but again, numbers are all over the place. Again it seems as much based on “estimates” as anything else. From what I can put together, the Arctic ice pack has a size of about 5.3 million square miles. This shrinks currently to about 1.3 million square miles in the summer. Most of the sites I looked at suggest the recent overall loss is about 13-15 thousand square miles per year. Some said that this is about 2 percent, but if you do the math, it’s actually .2 percent — big differerence. At that rate, the ice will turn to water in about 500 years. Maybe, maybe not. Climate is a funny thing; it doesn’t follow rules, certainly not any of the rules of man. Over the eons, climate change has gone warmer to colder, to warmer to colder, over and over again. In any case, the Arctic Ice is not likely to melt in the next few years as Al projected. Personally, I think it all has to do with the shifting of the magnetic poles, but more on that in a future article. So over all, I’m not too worried about the Polar Bear. If things change enough, they’ll likely just move south and turn brown again, like their cousins. I missed 1968. Of course 1968 really happened, and I was alive then, but I missed it. I missed it because I was in Vietnam, and almost totally unaware of the tumultous events that took place that year. So many dramatic events took place that they changed this country, and indeed much of the world. 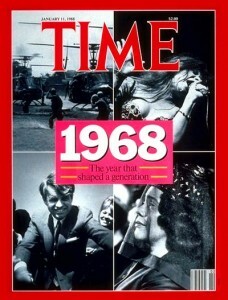 1968 was the most significant year of my lifetime, and I wasn’t there. When these events took place, I was barely aware of them. In Vietnam we had a single radio station, AFVN, which stood for Armed Forces Vietnam. It was the only radio station we ever heard. Fortunately or unfortunately, AFVN was heavily censored. We only heard what they allowed us to hear, and issues that were considered too “controversial” were not broadcast. 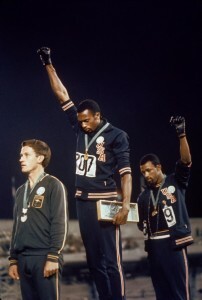 As a result of this, I only learned of many of the major events of 1968 when I returned home late that year. Looking back, I do believe 1968 changed everything. Let’s look at the year month by month and see what happened. 1968 started out innocuously enough. In January, The Undersea World of Jacques Cousteau premiered on ABC. Johnny Cash performed his historic concert at Folsom Prison, and the Green Bay Packers defeated the Oakland Raiders in Superbowl II. Things started to get dicey around the end of January. On January 21st, A B-52 carrying four hydrogen bombs crashed in Greenland. One was never recovered under the ice. On the same day, the battle of Khe Sahn began in Vietnam. 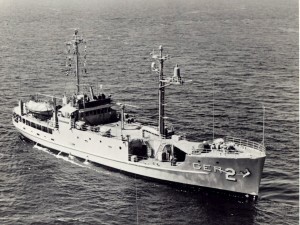 On January 22, Rowan and Martin’s Laugh In debuts on NBC, and on the 23rd, North Korea seized the American Navy ship USS Pueblo and it’s crew. To cap the month of January off, the Tet Offensive began in Vietnam on January 30, and by the next day , Viet Cong soldiers were attacking the US embassy in Saigon. February 1st: In what would beome one of the most iconic and controversial photographs of Vietnam, photographer Eddie Adams captured the execution of a Viet Cong captive by Saigon police chief Nguyen Ngoc Loan. On February 6th, the Winter Olympics opened in Grenoble, France. On February 8th, three protestors were shot and killed and 27 injured at the University of South Carolina by state police, in an incident that became known as the Orangeburg Massacre. During February, actors Nick Adams and Gary Coleman died, and actors Josh Brolin and Molly Ringwald were born. Singer Frankie Lymon died of a drug overdose. March started off calmly enough. Johnny Cash and June Carter were married on March 1st, and actor Daniel Craig was born on the 2nd. Then, on March 8th, a Soviet ballistic missle submarine sank 90 miles off Hawaii, with the loss of all the crew. There was a nerve gas leak at the Army’s Dugway Proving Grounds, 85 miles southwest of Salt Lake City, on the 14th. On the 16th of March in Vietnam, the My Lai Massacre took place.On the same day, Senator Robert Kennedy entered the race for the Democratic nomination for President. My son was born on March 28th. I was notified about his birth by the Red Cross about a week later. On March 30, Celine Dion was born, and on the next day, President Lyndon Johnson announced he would not seek re-election. April 2nd: Stanley Kubrick’s film, 2001 A Space Odyssey, opened in Washington DC. On April 4th, Martin Luther King was assassinated in Memphis, Tennessee by James Earl Ray. Almost immediately, riots broke out all across the country. 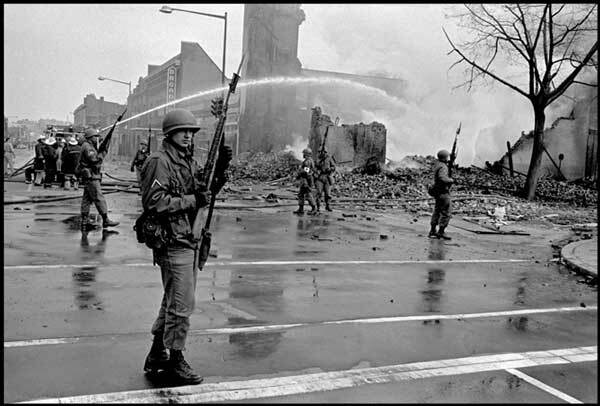 Riots took place in over one hundred cities, with the largest in Chicago, Baltimore, and Washington DC. The riots lasted for the better part of a week, and over 45 people were killed. On April 11, President Lyndon Johnson signed the Civil Rights Act of 1968. On April 13, there was a total lunar eclipse, the first of two in 1968. Anti-war protests in New York shut down Columbia University on April 23rd. Timothy McVeigh is born on the same day. 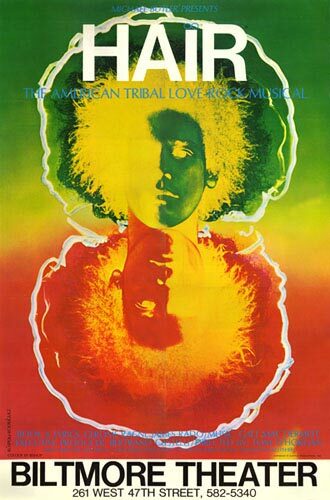 The musical Hair opened in New York City on April 29th. Early May settled down a bit in the U.S., but student protests expanded in Europe, especially in France, perhaps inspired by American anti-war protests. May 17: Anti-war protestors, known as the Cantonville Nine break into a Selective Service office in Maryland and burned draft records. Two involved were Jesuit priest Daniel Berrigan and his brother Phillip. 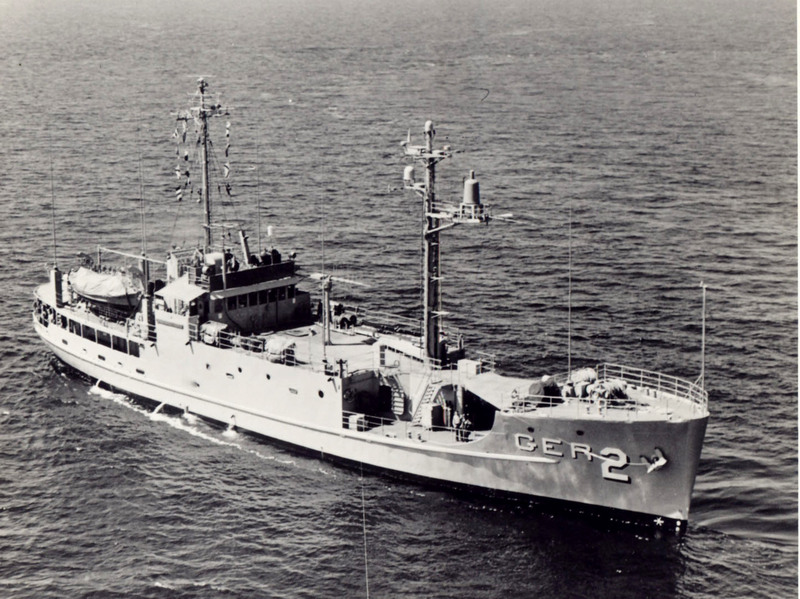 On May 22, the U.S. Navy nuclear-power submarine USS Scorpion sank in the Atlantic, with the loss of all on board. 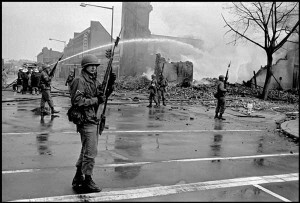 On May 27, civil rights protesters rioted in Louisville, Kentucky. The rioting lasted two days and two people were killed. June 5: Senator Robert Kennedy was shot in the Ambassdor Hotel in Los Angeles by Siran Siran, a Jordanian. He died the next day. 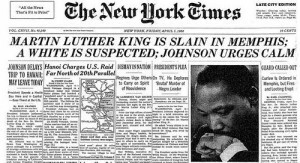 James Earl Ray is arrested on June 8th for the assassination of Martin Luther King. All things considered, July was a relatively quiet month. The country seemed to take a breather. 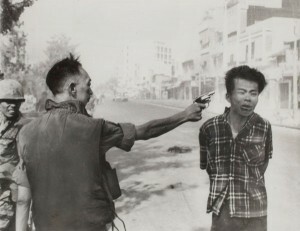 The CIA did launch it’s controversial Phoenix Program in Vietnam on July 1, Saddam Hussein first came to power in Iraq. On July 17, the PLO committed it’s first skyjacking (El Al Flight 426), and Pope Paul VI issued his enclyclical Humanae Vitae, concerning birth control. 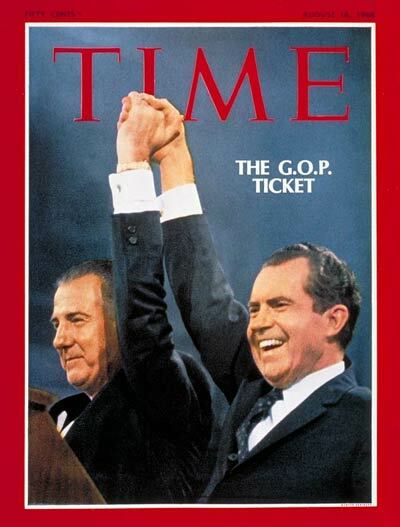 August 5-8 :The Republican National Convention selected Richard Nixon at the party’s nominee for President. Spiro Agnew was named Vice Presidential nominee. August 20-21: 750,000 Soviet Union and “Warsaw Pact” troops invaded Czechoslovkia, using 6500 tanks and 800 aircraft, in the biggest invasion since World War II. August 20-30: Massive rioting took place at the Democratic National Convention in Chicago, as the Democrats nominate Presidential candidate Hubert Humphry and Edmund Muskie for Vice President. On August 28, John Gordon Mein, US Ambassador to Guatamala is assassinated in Guatamala City. He was the first American ambassador ever assassinated in the line of duty. September 6: 150 women arrived in Atlantic City to protest the Miss America pagent. The first of the “bra burning” demonstrations, this was considered to be the first large feminist/women’s liberation demonstration. Hawaii Five-O debuts on CBS, and becomes the longest-running show on television until 2003. Sixty Minutes debuts on CBS. September 30: Boeing Aircraft introduces the Boeing 747 to the public. October 7: Singer Jose Fecliciano’s stylized version of the Star Spangled Banner at the World series creates huge controversy. October 11: NASA launches Apollo 7, the first manned Apollo mission. October 14: The Department of Defense announces it will send about 24,000 soldiers and Marines back to Vietnam for involuntary second tours. October 18: At the Summer Olympics in Mexico City, two African-American atheletes raise their fists in the black power salute. On November 20th, the Farmington Mine disaster in West Virginia kills 78 miners. On November 24, four men hijacked Pan Am Flight 281 at JFK Airport in New York City, and flew it to Havana, Cuba. On December 20, the Zodiac Killer begins his deadly spree in California. December 24: Apollo 8 enters obit around the moon. Astronauts Frank Borman, Jim Lovell, and William Anders become the first humans to see the far side of the moon. 1968 was not an easy year to forget. Assasinations, riots, and chaos seemed commonplace that year. 16,899 soldiers, sailors, airmen and Marines died in Vietnam. The year was a breaking point. Something snapped, and it seems possible today to look at the years before and after 1968 and see dramatic differences. Every now and then in history major events seem to compress into a short period of time. 1968 was such a time, the only one like it in my lifetime. I hope I never see another.